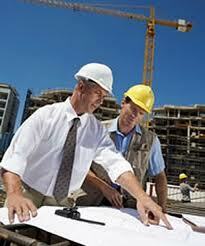 Research Papers on Construction Industry. The Construction Industry is known for it's potentially hazardous environment for workers employed in this occupational field. Research papers on the construction industry focus on the various aspects of the industry in the United States or globally. Research can also focus on safety in the construction industry or standards that are required to insure safety. Throughout the twentieth century, the construction industry has achieved unfortunate notoriety as one of the most potentially hazardous in terms of occupational risk for workers employed in the field. In the early 1900s, it was the rapid proliferation of injuries and fatalities in this field that played a significant role in galvanizing the movement for federal regulations ensuring worker’s compensation and protection. The next major milestone in worker safety in the United States occurred in 1970 with the passage of the Occupational Health and Safety Act, which established a government agency to regulate workplace safety, namely, the Occupational Health and Safety Administration (OSHA). Congress developed the legislation creating and empowering OSHA in response to statistics that reported that in the 1960s, workers were becoming injured, disabled, and afflicted with occupation-related diseases at an alarming rate. Although the rates of occupational illness had diminished radically in the years since workman's compensation was implemented, the federal government held that the annual averages of 300,000 cases of occupational diseases, 2.5 million instances of worker disability, and 14,000 work-related deaths were far too excessive for a nation with the economic resources of America. Federal Government - Federal Government Research Papers look at our government from the beginning. 1960s - 1960's term papers discuss Martin Luther King Jr., John F. Kennedy and the Vietnam War. Laws Against Racial Discrimination - Laws Against Racial Discrimination are in the 13th and 14th amendments to the Constitution of the United States of America and by the 1871 Civil Rights Act. Delivery Methods - Project Delivery Methods Research Papers look at the advantages and disadvantages of design-bid-build and construction management. The Watergate Scandal - The Watergate Scandal research papers discuss the pattern of corruption and illegal activity within the Nixon White House during the 20th century. The Needle stick Safety and Prevention Act - The Needle stick Safety and Prevention Act Research Papers look at the reasons to use needleless systems whenever possible in order to protect healthcare workers. North American Chemical Association - North American Chemical Association represents the chemical industry and chemical companies throughout the United States and Canada. Richard Nixon - Richard Nixon research papers give a biography of the former President and write of the Watergate Scandal. Bloodborne Pathogens - Bloodborne Pathogens Research Papers delve into the illnesses that come about from bloodborne pathogens. Workplace Violence - Workplace Violence research papers discuss the term that refers to any violence in a person’s occupational location. Fast Food Workers - Fast Food Workers Research Papers look at the debate over unionization of fast food workers. Aftermath of Hurricane Katrina, Returning to a Workplace - Aftermath of Hurricane Katrina, Returning to a Workplace Research Papers delve into an order placed for a case study on Hurricane Katrina. Importance of Handwashing - Importance of Handwashing Research Papers look at a sample of an order placed on teaching an adult the importance of cleanliness. Age Discrimination - Age Discrimination Research Papers discuss how the law came about. At Work Childcare - At Work Childcare is an incredibly diverse At Work Childcare and often a student writing a research paper needs help with narrowing it down. In Maslow's Hierarchy of Needs - In Maslow’s Hierarchy of Needs research papers, Maslow's theory is discussed in light of employee motivation. Paper Masters writes custom research papers on Construction Industry and looks at the different milestones in work safety for construction workers in the United States.